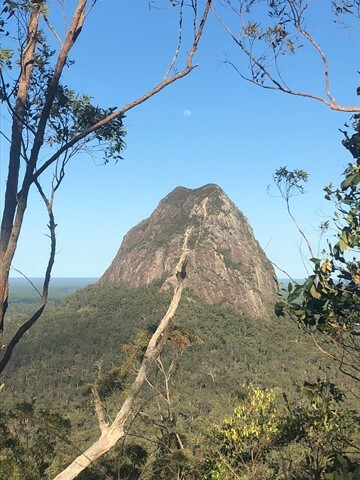 A steep walk to the summit of the mountain, a bit of an uneven but level scramble along the ridge for about 50m with a small 10m steep scramble to get to the peak at the end of it. 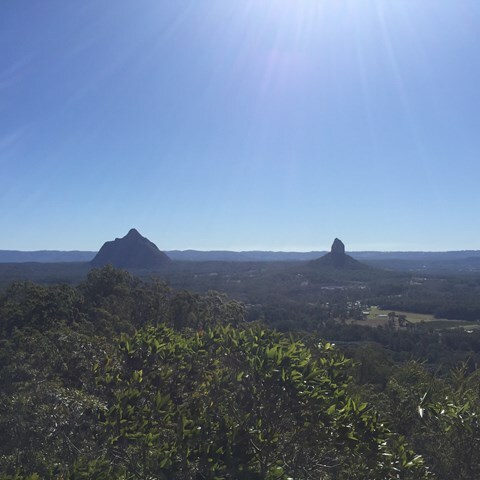 Summit has spectacular views of the surrounding mountains and north to the Sunshine Coast. 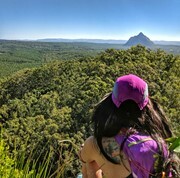 There are two alternative tracks which meet at the the top of the ridge at a point where an arrow painted on a rock directs you along the ridge to the summit. Take care as both tracks can be slippery after rain due to wet clay/ tree roots and loose shale at the top of the tracks can be a concern in any weather as well. 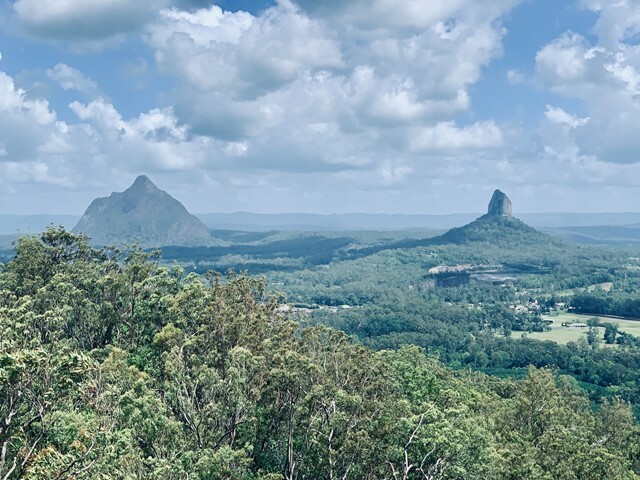 From the Bruce Highway travelling north turn into Steve Irwin Drive and turn left just after Mt Tibrogargan over some railway lines into Barrs Rd (which eventually becomes Marsh's Rd). 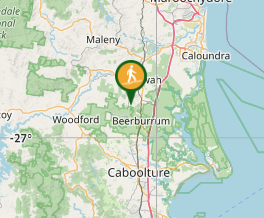 Follow this to the new Mt Tibrogargan carpark, or park 200 metres further along, across the road from a gated 4WD track designated T-212, which is the start of the track up the Northern face. 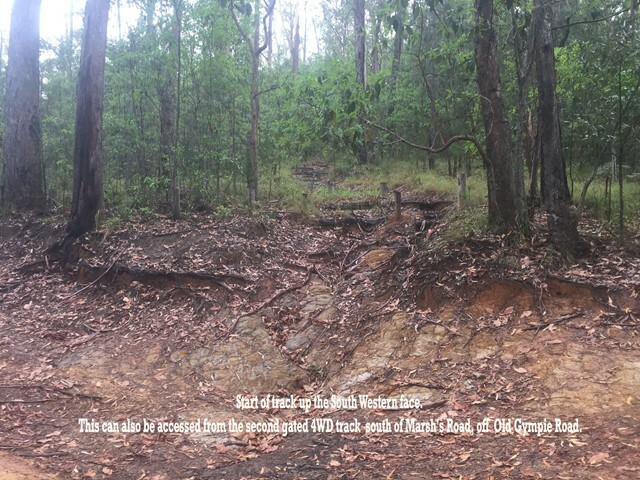 A second track up the South-Western face can be accessed by turning left at the intersection of Marsh's Rd and Old Gympie Rd and then taking the second gated 4WD track on the left off Old Gympie Rd. 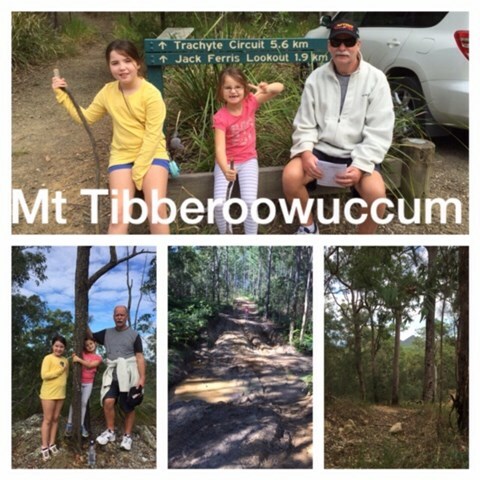 Drive towards the base of Mt Tibberoowuccum until you find a safe place to park on the side of the 4WD track. Continue on foot u8p an incline until you find the start of the SW track where the the 4WD track takes a sharp bend to the left (North). 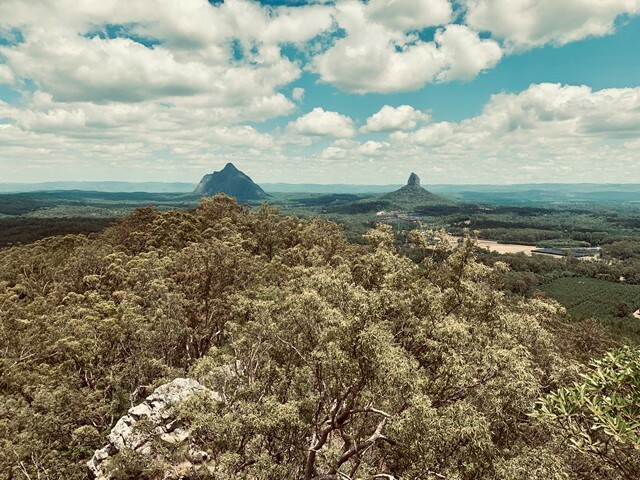 Alternatively, you can access this same track from the carpark by following the service roads and 4WD tracks around the Eastern and Southern sides of the mountain for a little over 2 km. From the new Mt Tibrogargan carpark go back out to Marsh's Rd and head left. 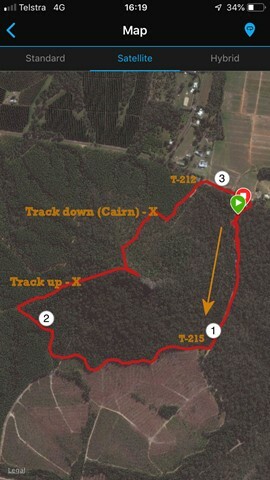 Continue for 200 m along the road before entering the 4wd track marked as T212 on your left. Head right at each fork and follow the track for about 300m. After coming up a l;arge dip in the track, keep a lookout on the left side of the track for a small cairn marking the start of the climb. From here it is easy to keep to the track all the way to the top. 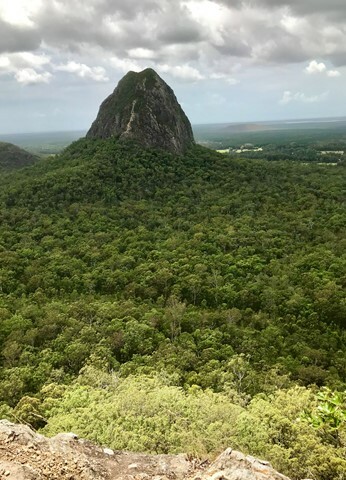 When you reach what appears to be the summit that is obscured by trees follow the ridge towards Mt Tibrogargan (East) and scramble up a 10m knob to the absolute summit. 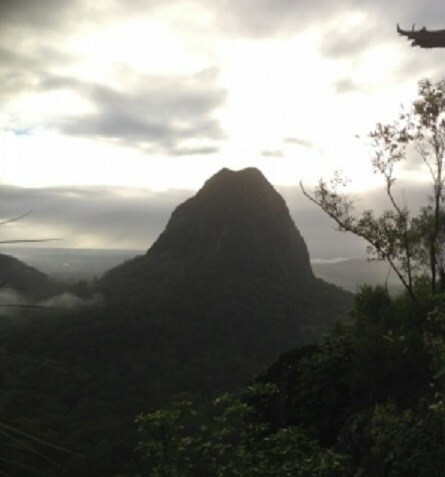 Retrace your steps to the bottom or descend via the south ridge to the 4WD trails as detailed below. The South western track can also be accessed by turning left at the intersection of Marsh's Rd and Old Gympie Rd and then taking the second gated 4WD track on the left off Old Gympie Rd and driving / walking back east toward the foot of the mountain. You will need to park off-road. 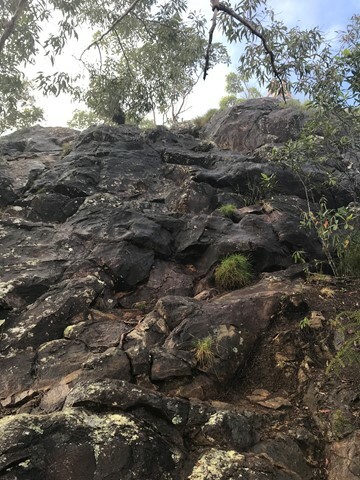 After a bit of a false start of missing the track, I found the 'cairn' (stack of rocks) indicating the start of the track and enjoyed the steep climb to the top. 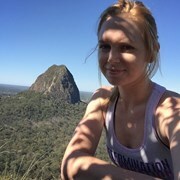 Great combination of cardio, uphill walking as well as some scrambling and a small amount of climbing to reach the summit. Take aeroguard! 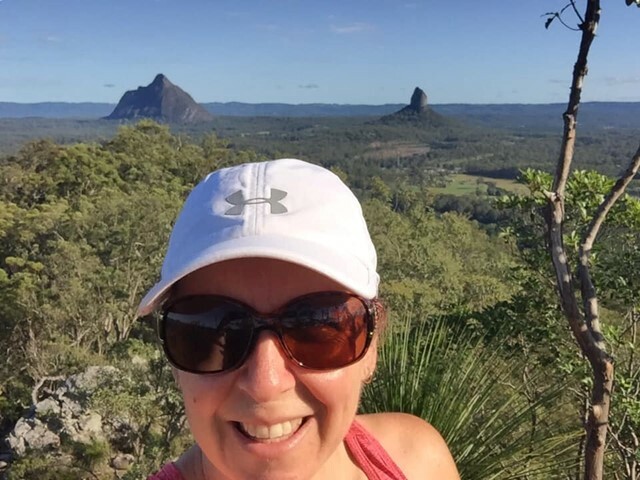 Did this as the third hike of the day after Mt Coochin and Mt Ngungun. If you're just going to the summit and back you can do this in half the time. 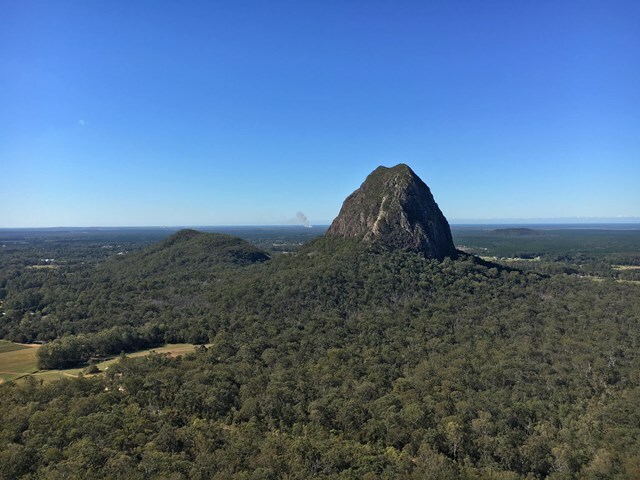 Has a great view of Tibrogargan and most of the other Glass house mountains. Took our five and seven year old kids up. 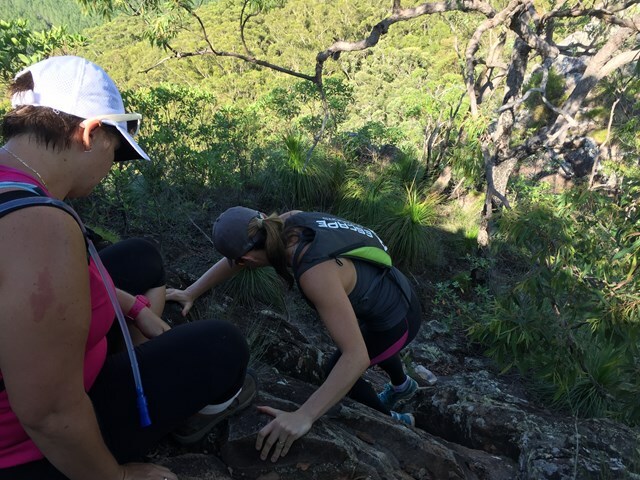 It was harder than a few weeks ago as it as was dusty from the lack of rain which made it super slippery and there was a lot of bum sliding coming down. The kids enjoyed the small scramble at the end. Great views at summit - lots of insects at the summit like all the glasshouse mountains. I would say that this is a surprisingly underrated mountain. 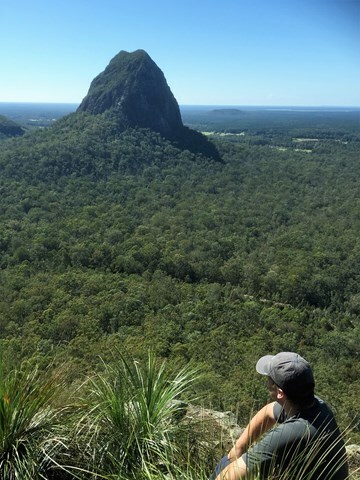 Not terribly high, can get to the top in under 20 minutes, however the view is excellent. 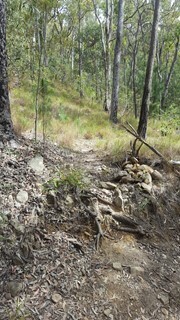 The track is easy to follow (so long as you can find the entrance to it), with piles of rocks to mark the way. 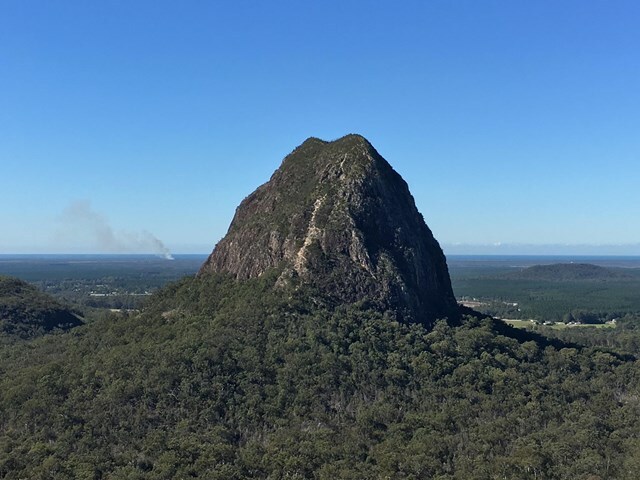 There is a little fake summit with a view then a track to the actual summit which as people have mentioned, involves a slight scramble (like a mini version of the Mt Warning scramble, so not hard). 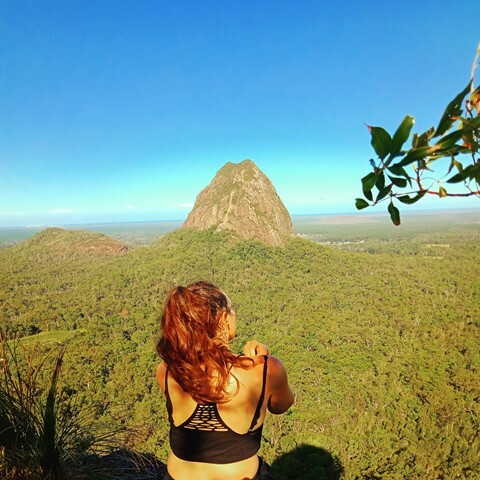 At the top you are greeted with a commanding view of all the Glasshouse mountains. 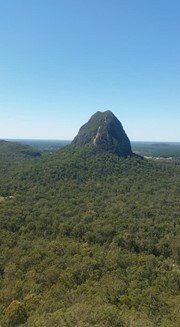 I would consider it a good quiet alternative to Mt Ngungun, didn't see a single person up there. Super easy to get to if you park opposite the start of the 202 4WD track as the car park referenced in notes is now the Tibrogargan main car park. 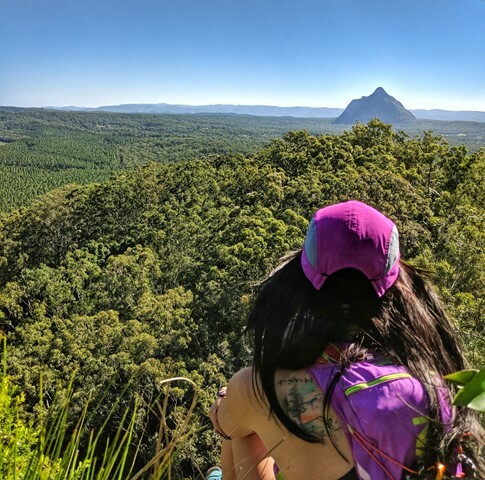 Great views and a nice little scramble at the end. I wouldn’t say this is hard but it was fun. 1. Follow the road from the new Tibrogargan carpark west along Marsh's Road for 200 metres until you come across a gated 4WD track designated T-212. Follow T-212 to the right for 300 metres. 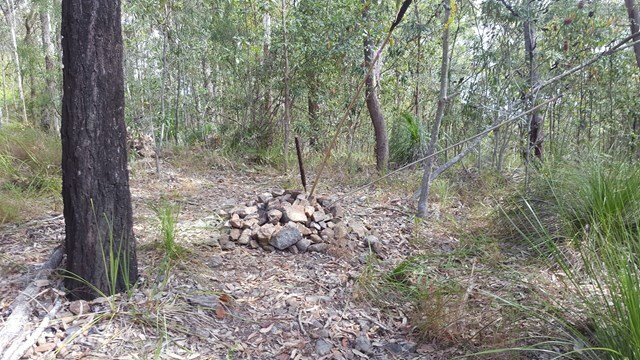 After coming up a steepish gully at the 300 m mark, you will see the rock cairn on the left, about three feet above the 4WD track. Follow the track to the summit. See my annotated photos on this site. 2. Follow Marshes Rd to Old Gympie Rd, turn left and take the second gated 4WD track off Old Gympie Rd on your left heading south. 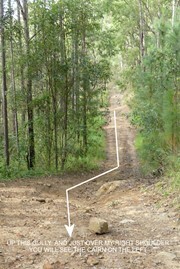 You will need to park somewhere safe off the 4WD track. 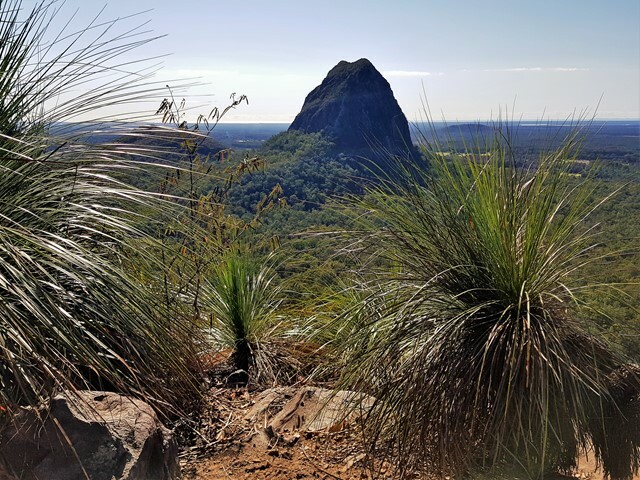 Walk up the 4WD track until you see the hiking track up the South west face as the straight 4WD track you are on turns Left (North) again. See my annotated photo on this site. Follow the track to the summit. 3. Do both faces ! See my satellite view. 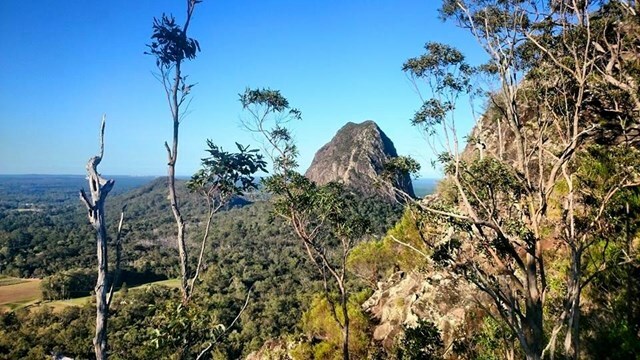 Park at the Tibrogargan carpark and follow the gated track / service road leading south from the carpark. Walk about 1 km until you see a 4WD track (T-215) on your right as you approach the cleared land to the south of Tibrowuccum. Follow T-215 around the base of the mountain, taking any branches in the 4WD track to keep the Mountain close to your right. 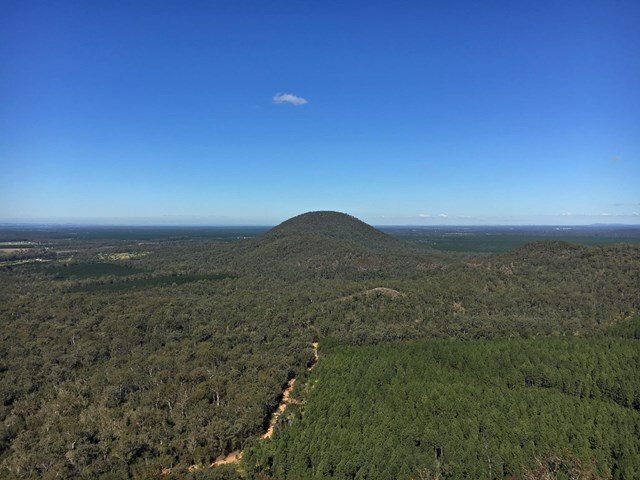 After a bit over 2 km you will turn right on to a 4WD track leading in from Old Gympie Rd which goes up an incline to the base of the South Western track up the mountain, just as the 4WD track turns left. 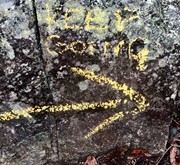 (See Photo) Take the track to the summit where you will find a couple of rocks marked "Keep Going". 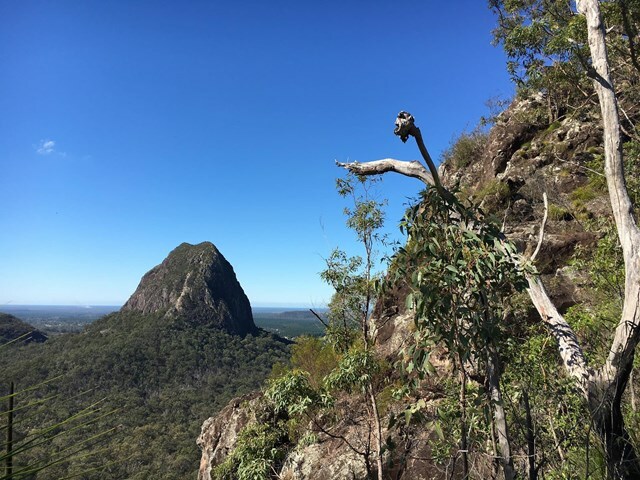 You need to follow the arrow along the the ridge East toward Tibrogargan until you come to a approximately 10 m scramble to the true summit. 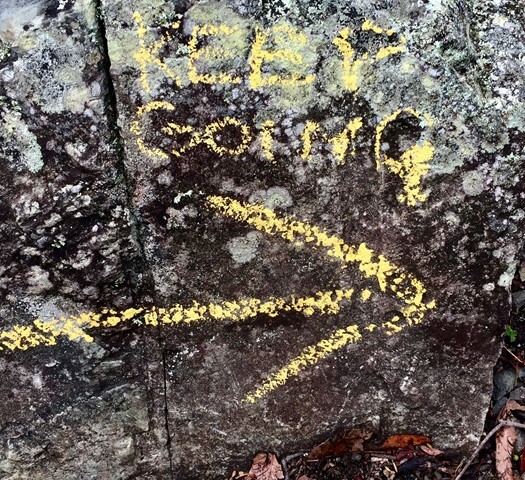 Return to the rocks marked "Keep going" and turn right onto the northern track down to T-212. There are rock cairns half way down and where the track meets T-212. Turn right at the bottom cairn and follow T-212 (keeping to the left) for 300m until you come to Marsh's Rd. 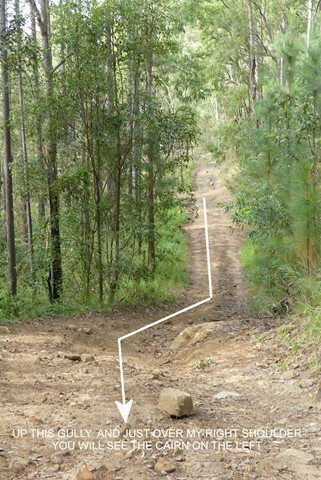 Follow Marsh's Rd to the right for 200 m and you will be back where you started at Tibrogargan carpark. Peaceful walk. A little slippery so ensure you wear appropriate shoes. At the moment the trachyte circuit car park is closed to traffic so I would recommend following the alternative route (via 4wd track 212) to the summit. There is room to park directly opposite the track entrance. Was a steep climb and took about 75 mins return including a break at the summit. 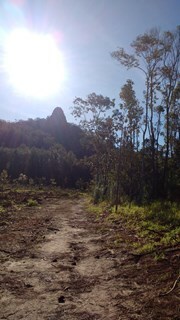 Quite easy but feels like you are almost doing Beerburrum with that incline to the top (minus the pavement). Not as bad of course! Still, very cool view of Tibro's summit route and beautiful views to the south and west. 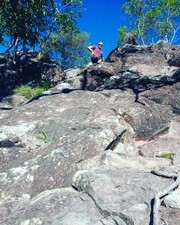 A minor scramble right near the very end before you reach the little summit. I liked this because it is not teaming with people like some of the more popular peaks and hence a bit more peace and quiet. Not being satisfied with just one mountain the kids decided we should do another! Quite slippery because of the rain. Again needed to take care particularly coming back down. The comments on this site were invaluable to help find the path. No views from the top today except of the clouds, but that in itself was quite amazing. Look forward to doing this in the dry. An interesting walk although my GPS track indicated I didn't actually make the true summit. It's a bit slippery because of the clay at the bottom and shale at the top. Make sure you wear good hiking boots. 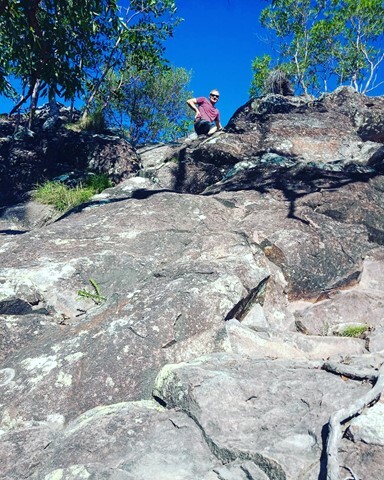 I was the only person there at the time I climbed. Here is an update on how to find the trail. Drive about 200 metres past the Trachyte carpark which is being upgraded at the moment and park on the grass on the right, in front of the big house. There are tall, shady trees in front. 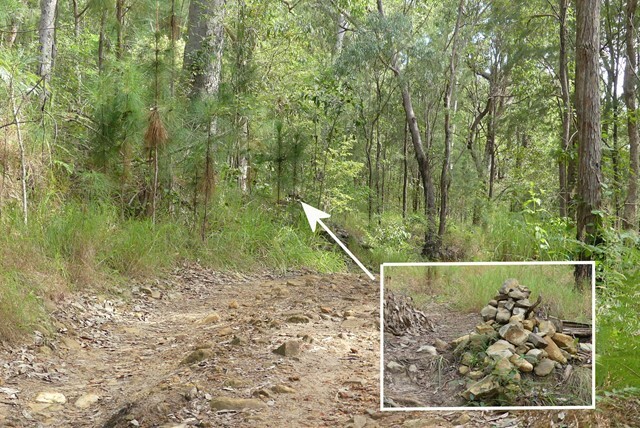 You will see the 4wd track marked as T212 across the road. 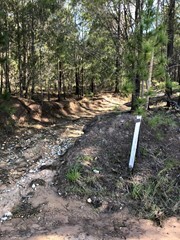 Head right at the first fork and follow for about 300m (keep turning right at any fork or intersection) You will eventually come to the big gully in my photo. 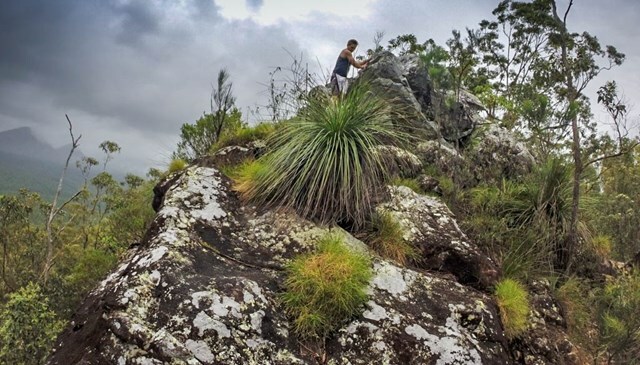 Keep a lookout on the left side of the track for a small cairn marking the start of the climb just over the rise. From here it is easy to keep to the track all the way to the top. There is another cairn about half-way up the track. When you get to the top there is a big rock with a sheer drop facing Jack Ferris lookout. Carefully follow the saddle to the left (painted rocks at one time) until you get to the summit. I certainly didn't see the summit as illustrated in one of the photos. I think I was 20-30 metres short and am planning to do it again soon. Carpark is under construction, so we parked alongside Marsh's road (about 300 meters beyond the carpark) and used the fire trail to get to the trailhead. A little over grown, but not bad. 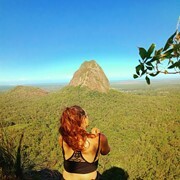 Easy to create a longer circuit by connecting up to Jack Ferris Lookout. 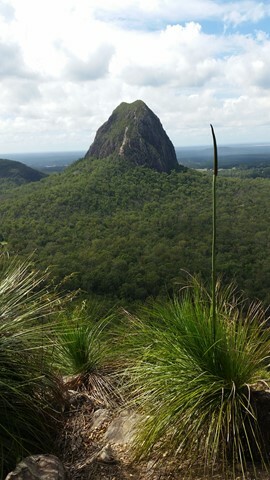 The summit route off the 4wd tracks is a lovely hike, a little overgrown but would be hard to lose the track. Nice fairly easy up hill hike with a ~4metre scramble at the very end but it is not overly challenging. 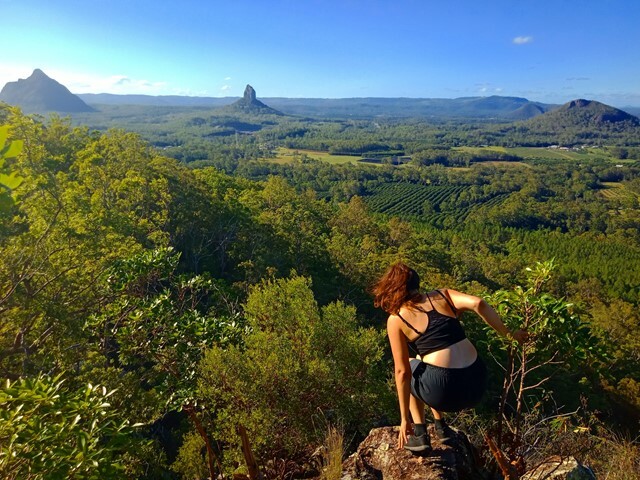 Definitely a to do if practicing for harder hikes/scrambles. Had a 4wd and parked in at the T212 marker. found the cairn marker and headed up along the path with no problems, found another cairn marker and turned left to the summit. Coming down we walked another trail and ended up at the south side. So we climbed it again and went back down the right trail (middle one). LOL. my 7 year old and I smashed it both times in 45minutes up and back, total 1.5hrs. One of my favourite places to go to. I have climbed this Mountain from 3 different ascent tracks and its quite short climb to get to the top of Tibberoo. On top you have a nice ridge and interesting walk to get to the true summit of the rocky knob which is a quick scramble to the top. 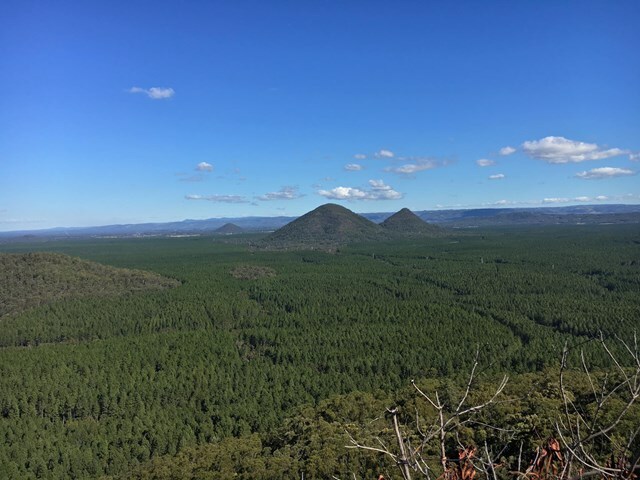 Been up Tibberoo 4 times and only ran into others once...peaceful and great views of the other Mountains and right behind Tibro. the perfect spot to watch sunrise over Tibro. As others have said, can be difficult to find entry point. 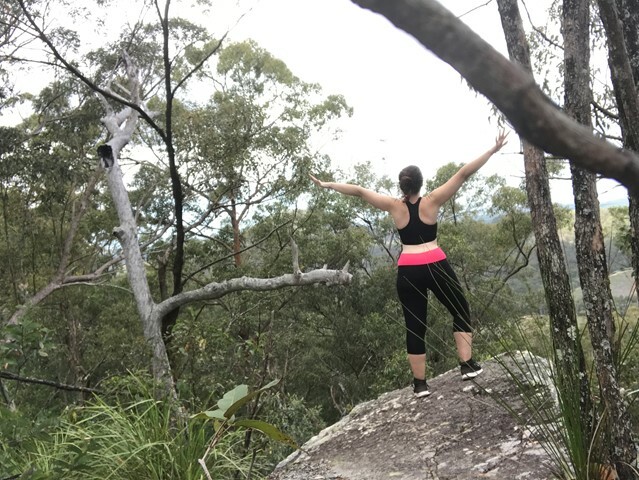 Once you find it though, it's a nice climb up with good views, and is usually quiet, probably because it's not clearly marked like other trails are. 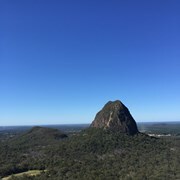 You can see people (dots) climbing Tibrogargen from here.